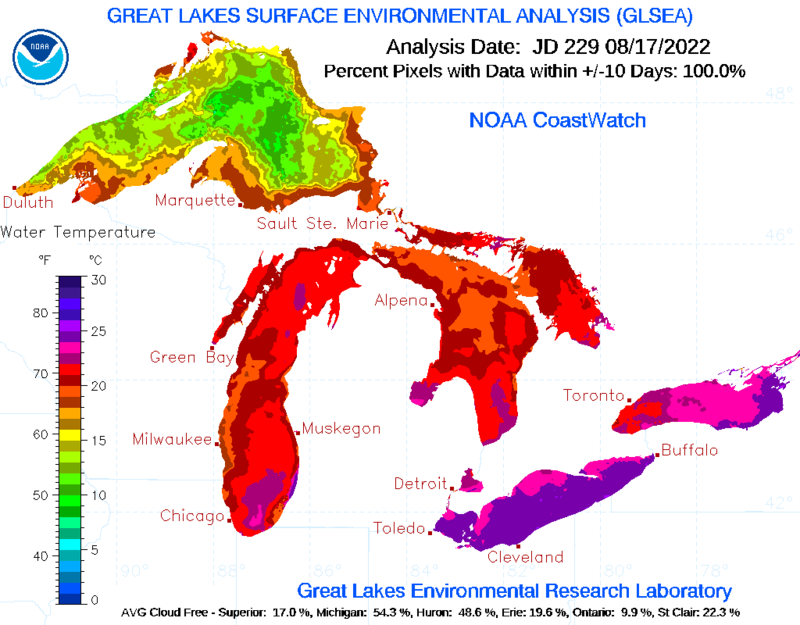 Researchers at GLERL are using a new tool, a MOCNESS, to study the Great Lakes. In the Great Lakes, communities of plants and animals vary depending on where and when you look. They are dispersed up and down and all around in the water, making it tricky to collect them for research studies. To answer questions about these organisms and how they interact in the Great Lakes ecosystem, scientists from NOAA’s Great Lakes Environmental Research Laboratory (GLERL) and CIGLR (Cooperative Institute for Great Lakes Research) are using a new high tech sampling tool called a MOCNESS (Multiple Opening and Closing Net and Environmental Sensing System). GLERL’s MOCNESS is the first of its kind to be used in a freshwater system. 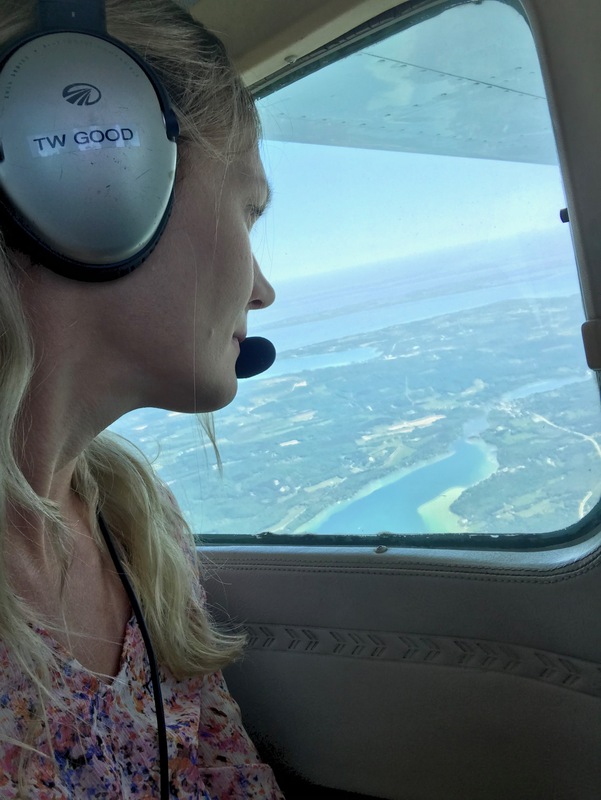 Scientists are hopeful that this technology will lead to new discoveries about the Great Lake ecosystem, such as where plankton (microscopic aquatic plants and animals) live and what causes their distributions to change over space and time. The MOCNESS will also help scientists learn more about predator-prey interactions that involve zooplankton (microscopic aquatic animals), phytoplankton (microscopic aquatic plants), and larval and juvenile fishes. 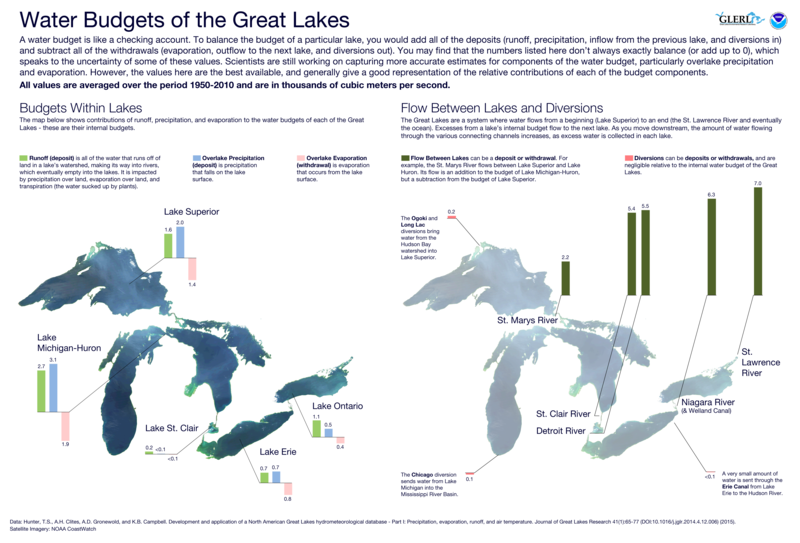 Keeping track of changes in plant and animal communities in the Great Lakes over time is important, especially with changes in climate, the onslaught of invasive species, and land use practices causing increased nutrient runoff into the lakes. The MOCNESS is a big improvement over the traditional single mesh sized sample collection nets. The sampling system provided by this new tool has a series of nets of different mesh sizes to collect different sized organisms (see a few examples in the gallery below). The operator can remotely open and close these nets, much like an accordion. At the heart of the system is a set of sensors that measure depth, temperature, oxygen, light levels, and the green pigment found in algae, Chlorophyll-a. Because this data can be viewed in real time on the vessel, the operator can better determine what is going on below the water surface and choose where and when to sample different sized organisms. How do plankton and larval fish respond to environmental gradients (water temperature, dissolved oxygen, UV radiation) over the course of the day, season, and across years? What are the major causes for changing distributions of the animals across space and over time (long-term, seasonal, 24-hour cycle)? How do these changes in affect reproduction, survival, and growth of individuals and their communities? The MOCNESS has been tested in the waters of lakes Michigan and Huron for the past three years. The team, led by Dr. Ed Rutherford, is supporting GLERL’s long term study of the Great Lakes food webs and fisheries. “The MOCNESS will enhance the ability of our scientists to more effectively observe the dynamics of Great Lakes ecosystem over space and time—a critical research investment that will pay off for years to come,” says Rutherford. This year, the team is actively processing samples that were collected in the spring and will continue to collect more samples through the fall. 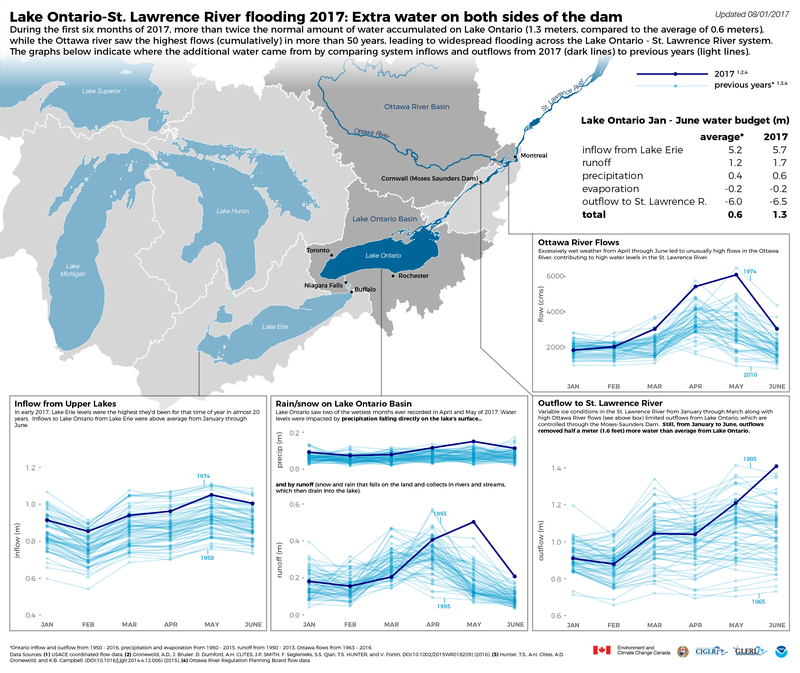 The MOCNESS will support ongoing ecological research on the Great Lakes and the results will be shared with others around the region who are working to make decisions about how to manage Great Lakes fisheries and other water resources. Categories: Research | Tags: lakes, observations, partners, Research, sampling, science, sensors, Spatial Analysis, technology | Permalink. Researchers at NOAA’s Great Lakes Environmental Research Laboratory (GLERL) are exploring the use of sound to monitor and assess the health of coastal ecosystems, most recently focusing on the soundscape created by Hurricanes Irma and Maria in Puerto Rico. In collaboration with the University of Puerto Rico at Mayagüez, Purdue University (a partner university in the Cooperative Institute for Great Lakes Research consortium), and the National Centers for Coastal Science (NCCOS), GLERL has launched a pilot study on developing the long-term use of soundscape. To implement this new approach to monitoring, hydrophones, an instrument in measuring sound, are used to track the response of ecosystems to natural (e.g., tropical storms) and human-induced (e.g., stressors such as excess nutrients, sedimentation, fishing pressure, climate change) disturbances. In this pilot project, hydrophones have been in place for six months at three sites (see below for Google Earth Map of Magueyes Island, La Parguera, Puerto Rico) at La Parguera Natural Reserve on the southwest coast of Puerto Rico prior to and during the two category 4 hurricanes that pummeled the island. Miraculously, the recorders and data survived the storms and were recovered, providing us with a unique opportunity to listen to the hurricanes and to evaluate how quickly reefs recover from a natural disaster. What is a soundscape? Soundscapes are created by the aggregation of sounds produced by living organisms (invertebrates, fish, marine mammals), non-biological natural sounds (waves, rain, movement of the earth), and sounds produced by humans (boats, coastal roads). Changes in the biological portion of soundscape can provide us with the quantitative data to assess the health of the ecosystem in response to natural and human-induced disturbance. Thus, our overall goal is to develop quantitative indices of coastal ecosystem health, based on the soundscape to assess the state of the environment, and to understand and predict changes, with application towards ecosystem restoration and conservation efforts. The utility of this approach is the use of a low-cost, remote autonomous technology that holds potential in expanding NOAA’s long-term observational capacity to monitor and assess coastal habitats. Why GLERL? As part of a long history of monitoring and research in the Great Lakes, GLERL scientists have cultivated a unique expertise in the development of autonomous remote sensing technology. In the last two decades, Purdue University (a CIGLR partner) has been one of the leaders in the development of terrestrial soundscapes as a critical tool to monitor ecosystem change. More recently, interest has grown in expanding this approach into the aquatic realm. Building on our relationship with Purdue, GLERL and partners are well positioned to advance use of soundscape ecology to meet NOAA’s mission to protect, restore, and manage the use of coastal and ocean resources. In addition to the pilot study, GLERL is partnering with NCCOS to reach out to other NOAA Line Office programs in efforts to formalize the use of soundscapes within NOAA as a scientific program. For example, efforts are underway to plan an international workshop to establish the foundational principles and identify research and technology gaps for the use of soundscape ecology. Why Puerto Rico? Original support for this pilot study came from a congressional allocation for enhancing relationships with the cooperative institutes for the benefit of coral reef restoration and conservation. Given the scientific knowledge accrued from NCCOS’ prior investments in La Parguera, GLERL and its NCCOS partner recognized that Puerto Rico would be a prime location to test and develop the use of soundscapes technology to track and quantify the health of coastal ecosystems. Categories: Research | Tags: hurricane irma, hurricane maria, observations, ocean, puerto rico, Research, science, sensors, soundscapes, technology | Permalink.